Moscow, 31st January, TASS. 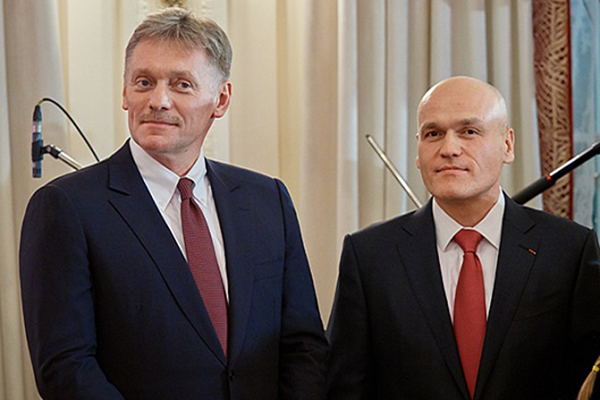 The Trustees Board of the Russian CF is supporting the candidacy of Andrey Filatov to the position of the Federation President, the Head of the Board, Press-secretary of the President of Russia, Dmitry Peskov told to the TASS question. Peskov said, “I can say on behalf of the Trustees Board, we highly appreciate the results of work of A. Filatov, who has been the head of Federation for the last four years, under his leadership the Russian national women’s team has achieved very high results in international events, and under his leadership the promotion of chess has continued at the entire territory of the Russian Federation, bringing in new regions, with the acceleration of the tempos of chess popularization in the country, and international contacts went to a new level”. He underlined: “therefore we, unconditionally, highly evaluate the results of Filatov’s work and the Trustees Board of course will support his candidacy on these elections”. Elections of the RCF President will take place on 3rd February. Peskov noted “right now there is a preparation for the 13th Congress of the RCF, on February 3rd. There will be many elections, elections of the RCF President, members of the Supervisory Board, and Verification Commission members. And all of them – for four years. It is expected that the Agenda will include the issue of the candidate for the FIDE President” – Mr. Peskov enumerated. He reminded that the FIDE Presidential elections should take place in September in Batumi (Georgia). Peskov noted: “this is an important event considering the importance of the Russian Chess Federation there. Chess has been restoring its popularity at a very high speed, and they are conquering regions as a sport, and more than a sport, and many regions demonstrate their loyalty to the development of this sport, and its introduction into the schools programmes”. Speaking about the forthcoming elections of the RCF Head, he admitted that there is competition. Earlier there was information that the Supervisory Board of the Federation formed a list of the candidates for the RCF President’s office, comprising K. Ilyumzhinov, Z. Malsagov, S. Nesterov, I. Starikov, E. Suboch and A. Filatov.